It’s important to remember that, despite its poise, sophistication, and luxurious equipment, the all-new, 2018 Lincoln Navigator packs the same 450-horsepower, 3.5L EcoBoost V6 that powers the F-150 Raptor. While The Lincoln Motor Company continues to tout a mantra of “Quiet Luxury”, with the new Navigator, they’ve made a bit of a wolf in sheep’s clothing. 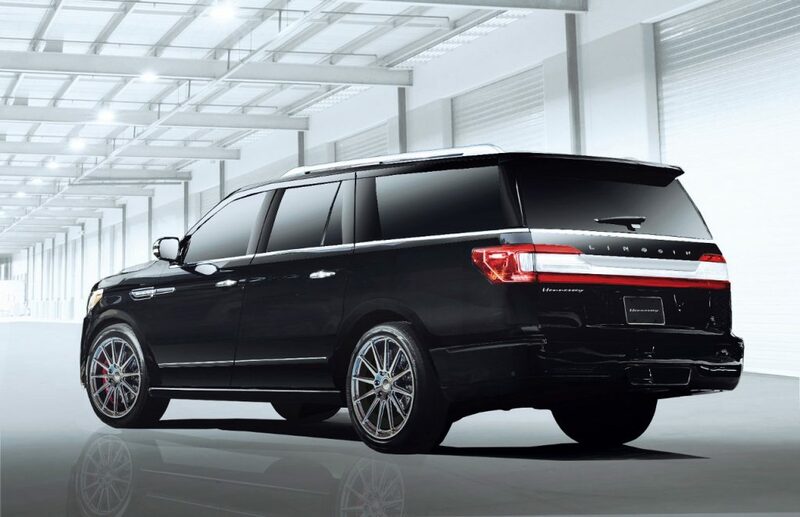 Now, Hennessey Performance is here to help you shed the last bits of “Quiet” from your Quiet Luxury-mobile, with a new “HPE600” tuning package for the 2018 Lincoln Navigator. The package boosts peak output up to 600 horsepower at 6,000 rpm using a high-flow induction system; upgraded intercooler and intercooler plumbing; modified turbo wastegate; stainless-steel catback exhaust; and revised engine mapping. Embroidered headrests and serialized underhood/interior plaques form the rest of the standard package, although Brembo brakes (front and rear), a suspension lowering kit, and 22-inch wheels with performance tires are all offered as options. As a result of its 600 peak horsepower, Hennessey says the HPE600 Lincoln Navigator can sprint to 60 mph in just 4.8 seconds, and jet through the quarter-mile in 12.9 seconds at 107 mph. Those are impressive figures for a three-ton vehicle. If 600 horsepower sounds like a bit too much to handle, there’s also Hennessey’s HPE500 package for the 2018 Lincoln Navigator, which uses the same high-flow induction, stainless-steel catback exhaust, and engine mapping to boost output by a more down-to-earth 50 horsepower.